Pink and Red - Yes, You Can! I am getting excited for February... really excited! It is my favorite month next to December - not just because it is the month of "loooooovvve", but it is also two of my best friends and my birthday month - so really a whole month of celebrations!! 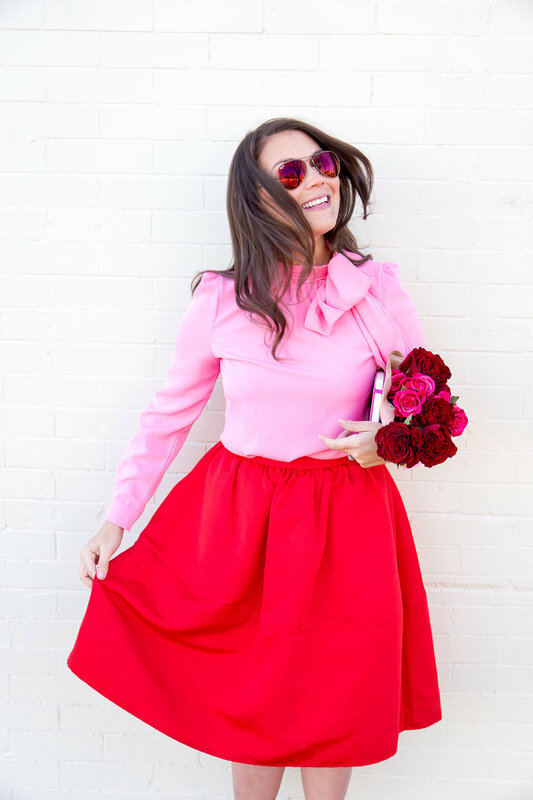 It is also one of my favorite times to wear bold colors with very feminine accents since everyone seems to have romance on the brain. Also, with Spring nearing and snow dwindling I am always a little more excited (and more likely) to get dressed up! Although I love cozy sweaters and boots it has been nice to break out my skirts and go tightsless 🙊mid-winter! I used to be a rules girl: no black with navy, no pattern mixing, and definitely no red with pink (ewww it clashed!)! I am learning (as I grow almost a year older) those rules don't apply anymore - especially this one! This is definitely my favorite "rule" to break since pink is my favorite color and red is another bold staple. I love this top ($37) and also often pair it with jeans for a casual date look. 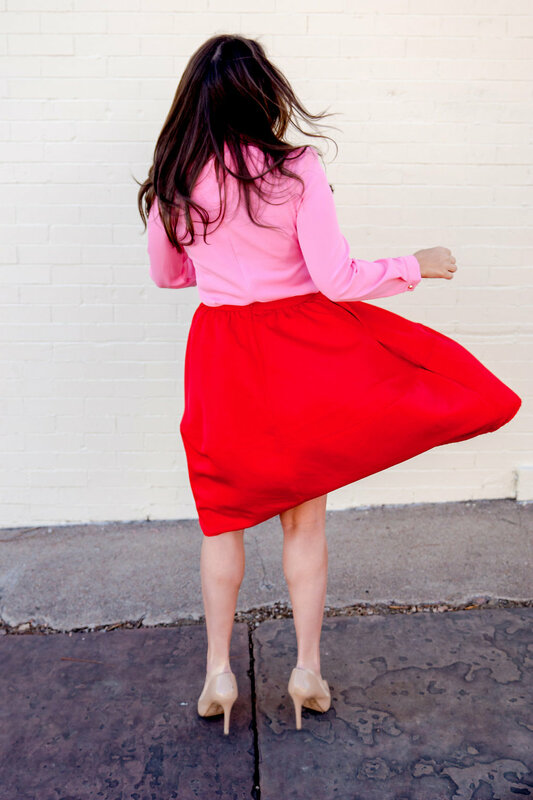 My exact skirt is sold out, but I also love this one, this one and this one (all under $50!). I have linked the rest of my look below! Can't wait to share a few of our favorite Valentines dates with you next week! Have a great rest of your week!